BREAKING NOW: Trump Just Had All 130 Arrested In Just Over 24Hrs - Justice Served! BREAKING NOW: Trump Just Had All 130 Arrested In Just Over 24Hrs – Justice Served! Illegal immigration is a “major problem” of some significance according to 68% of American voters. That is according to a recent Rasmussen Reports poll that shows many Americans are increasingly concerned in spite of the attempts of mainstream media propagandists attempting to convince much of America otherwise. The Trump administration continues to crack down on the illegal alien invasion as U.S. Border Patrol agents arrest two massive groups of illegal aliens including unaccompanied minors in just over 24 hours in Texas. “U.S. Border Patrol agents scooped up 131 illegal immigrants, including 22 unaccompanied minors, in just a little over a day in the Rio Grande Valley, officials said Tuesday. “The arrests stem from two separate incidents in a span of just over 24 hours. “Weslaco agents first arrested 66 illegals from El Salvador, Guatemala, and Honduras on Monday. The group comprised 20 families and 11 unaccompanied minors. “Then on Tuesday, Weslaco agents arrested an additional 65 illegal immigrants from Guatemala and El Salvador. That group was made up of 25 families and 11 unaccompanied children. All in all a total of 45 family units and 22 unaccompanied minors were included among those illegal aliens arrested. There are approximately 1,857,000 illegal aliens residing in the state of Texas, making it the state with the second-highest number of illegal alien invaders living within its borders, surpassed only by the state of California. The total illegal alien population for the entire United States is just north of 12 million, according to the Federation for Immigration Reform (FAIR). Around 62% of illegal aliens are from Mexico, which translates to more than six million illegal Mexican aliens within American borders without consent or permission. The number two country is El Salvador and accounts for only about half a million or so and the numbers go down from there from places such as Guatemala, Honduras, the Philippines, Korea, Ecuador, Brazil, and China. Just how much does that cost the American taxpaying citizenry of the United States? “At the federal, state, and local levels, taxpayers shell out approximately $134.9 billion to cover the costs incurred by the presence of more than 12.5 million illegal aliens, and about 4.2 million citizen children of illegal aliens. That amounts to a tax burden of approximately $8,075 per illegal alien family member and a total of $115,894,597,664. The total cost of illegal immigration to U.S. taxpayers is both staggering and crippling. In 2013, FAIR estimated the total cost to be approximately $113 billion. So, in under four years, the cost has risen nearly $3 billion. This is a disturbing and unsustainable trend. The sections below will break down and further explain these numbers at the federal, state, and local levels. “The Federal government spends a net amount of $45.8 billion on illegal aliens and their U.S.-born children. This amount includes expenditures for public education, medical care, justice enforcement initiatives, welfare programs, and other miscellaneous costs. It also factors in the meager amount illegal aliens pay to the federal government in income, social security, Medicare and excise taxes. Leftists and open borders proponents alike frequently cite allegedly large tax contributions made by illegal aliens as some level of justification for their continued illegal presence within American borders, as well as a basis for offering them amnesty, similar to what was previously enacted in 1986 under the Reagan administration. As FAIR notes, this is little more than a red herring as these “studies” use some seriously funny math. Most of them grossly overestimate both taxes actually collected from illegal aliens, as well as the amounts actually paid by illegal aliens (i.e. the money actually collected FROM illegals and actually KEPT by federal and state governments). Since the 1990s, illegal aliens have had little to no fear of deportation for their immigration status creating an environment where not only are illegal aliens both willing and able to file tax returns, they are actually incentivized to do so. Because the vast majority of illegal aliens hold lower-income jobs, many of those that are subject to wage deductions end up receiving a complete refund of all taxes paid, PLUS net payments made on the basis of any tax credits. As a result of this practice, illegal aliens actually PROFIT off the backs of the American taxpayers by filing a tax return themselves and therefore have a strong self-interest in doing so. 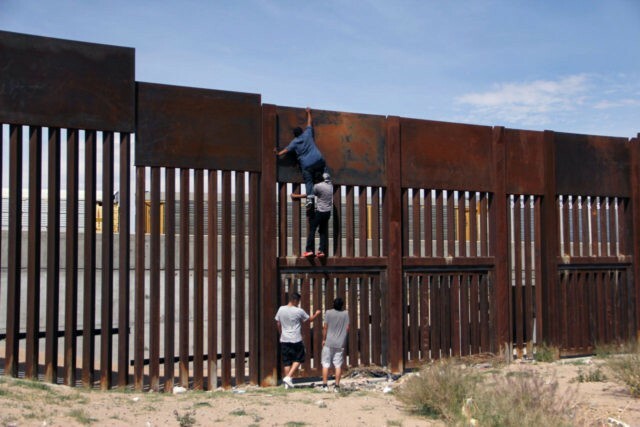 By FAIR’s estimation even though the costs of illegal immigration borne by taxpayers at the federal level are staggering, they only pale in comparison to the fiscal burden shouldered by taxpayers at the state level. As a state, the taxpaying citizens of Texas were forced to shoulder the staggering total burden of $10,994,614,550 which breaks down to approximately $4,429.00. The combined total of state and local government general expenditures on illegal aliens is $18,571,428,571 billion. Perhaps the leftists and the open borders proponents should just write a check.